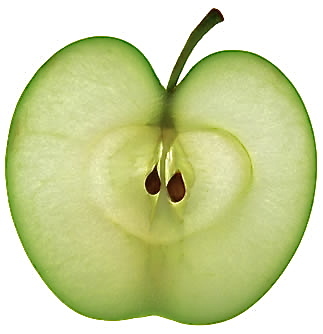 When I look at an apple, I instantly see a tasty snack. But I’ve learned to control the cravings to see the crafting potential of this versatile fruit! Although the carved potato stamp is a tried and true crafting tradition, why let veggies have all the fun? Enter the apple stamp: the perfect craft for those left-in-the-back-of-the-draw-almost-gone-bad apples in your fridge. Using a halved apple as a stamp, you can add zing to placemats, table runners, cards, fall garlands, paper napkins…Whatever you can stamp—from fabrics to paper—is fair game. 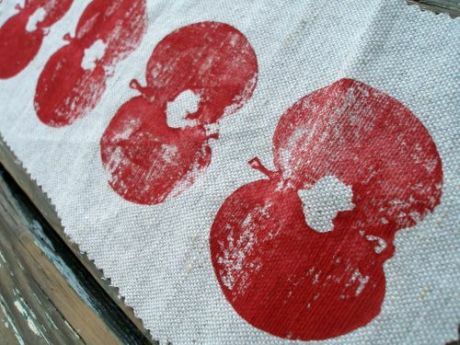 To brighten up your dinner table tonight, set aside 15 minutes and make a cheerful apple-stamped table runner. Slice your apple in half vertically. You should be able to see the seeds and stem on each half. Use a paper towel to dab the juice off the freshly cut apple. Dip the half in your paint. Do a few test runs on paper to test out the paint to apple ratio. 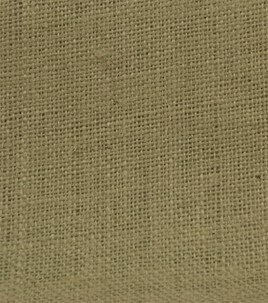 Decorate the burlap or canvas! 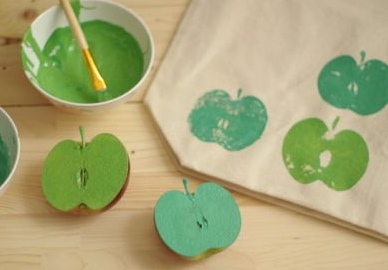 Experiment with blending oranges, reds or greens on the apple stamp. 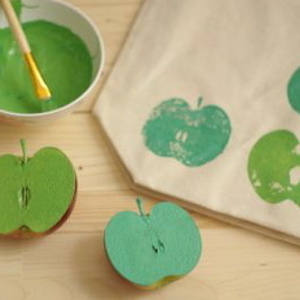 Kids can easily get in on the action and have tons of fun with apple stamping. 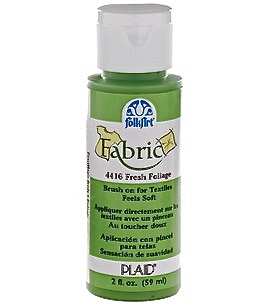 Cover a table in Kraft paper and set out finger paints as a safe washable alternative to fabric paint. Supply a few of the apple halves and let them loose! Cut up their work for placemats or leave as is for a frame-worthy tablecloth. …I always knew the lonely apple in the back of the drawer was going to have its moment in the spotlight!